I choose my top 5 Islands in Antarctica. Every now and then I love to write about Antarctica again. It still ranks as my number one travel trip to date. A pure Winter Wonderland. An untouched paradise and a total dream backpacking destination. 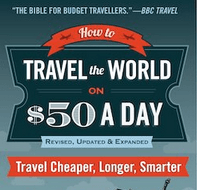 I’ve told my story countless times, of how I lived cheaply in Tasmania working 12hour days and 7day weeks on remote broccoli farms and managed to save enough money to pay for my trip and live my travel dreams. If you’re reading this and haven’t yet been I urge you to work hard and get it booked ASAP. 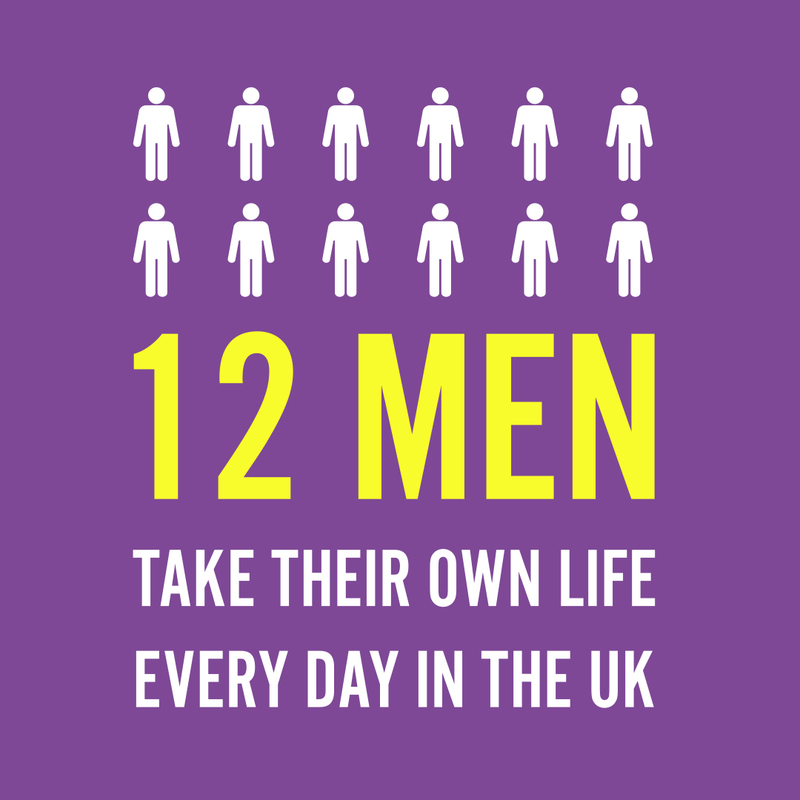 It’s a truly life changing experience. 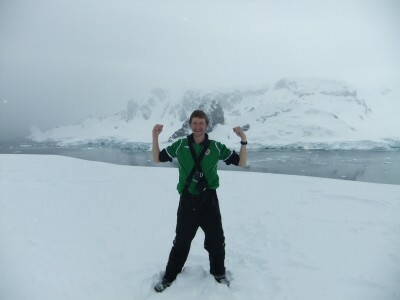 A bit overdue then here are the top 5 islands from my 2010 Antarctica adventure. Ahead of your trip though, make sure you get your Antarctica visa and have plenty of winter clothing! 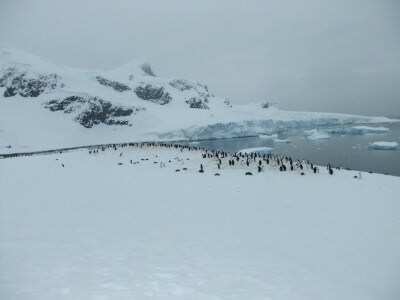 Top 5 Islands in Antarctica. Try and ensure a visit to Deception Island is included on your trip. It’s a forever deceiving island and a former volcano. A narrow passage takes you through the opening in the letter “C” and you’ll spend a day inside the letter “C” shaped island. 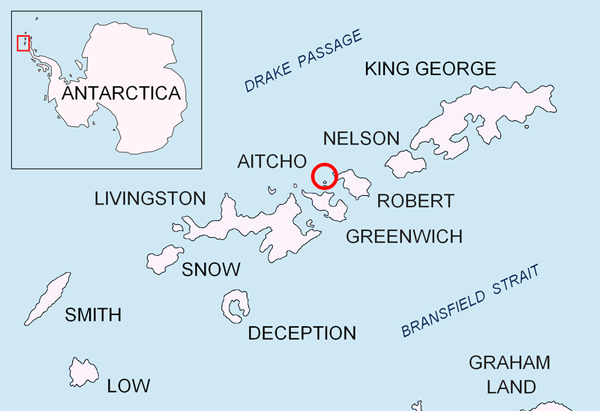 Notable places inside are Whaler’s Bay, Neptune’s Window, Pendulum Cove and Telefon Bay. 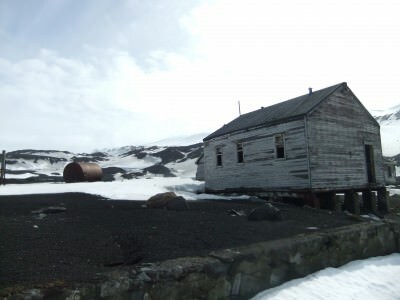 There is also a disused whaling station and an airline hangar plus some graves – they are all at Whaler’s Bay. 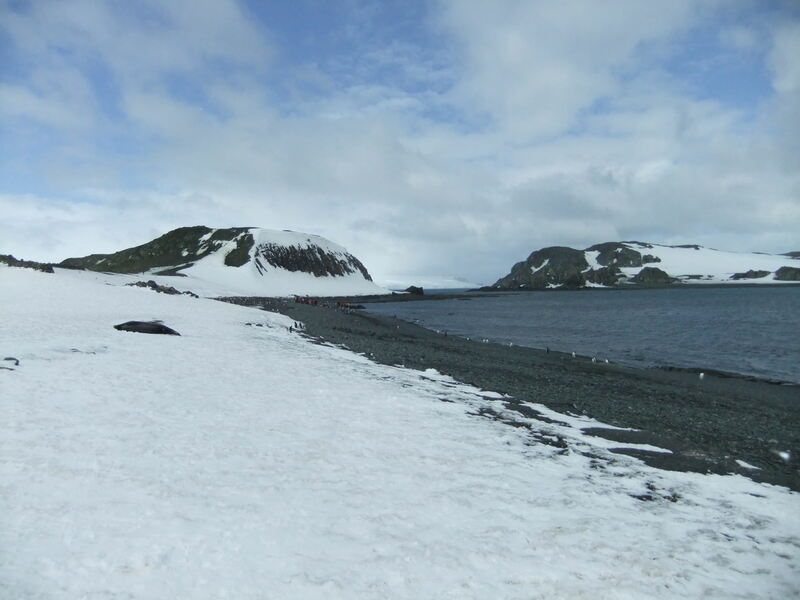 I have written a total of 5 posts on Deception Island on here before, including the amazing Polar Plunge where I got naked in Antarctica by swimming in the ice cold waters. 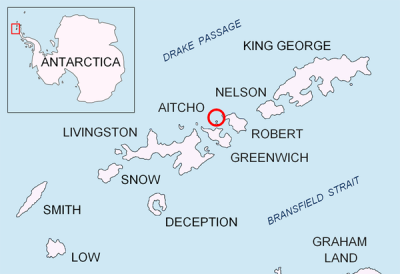 This island, Wiencke Island is not noted or recognised for its name, but for the significance of what sits on it – the British Base of Port Lockroy. This astonishingly proudly British quarter in Antarctica houses a post office, a museum and plenty more. The magic of Cuverville will NEVER leave me. I was in tears. It’s just so beautiful. You hike up to the top through the thick snow for a triumphant moment, some breathtaking views and just diving in endless clean crisp snow. It was all so beautiful the day we did Cuverville. Half Moon was the island where the sun shone down on us. 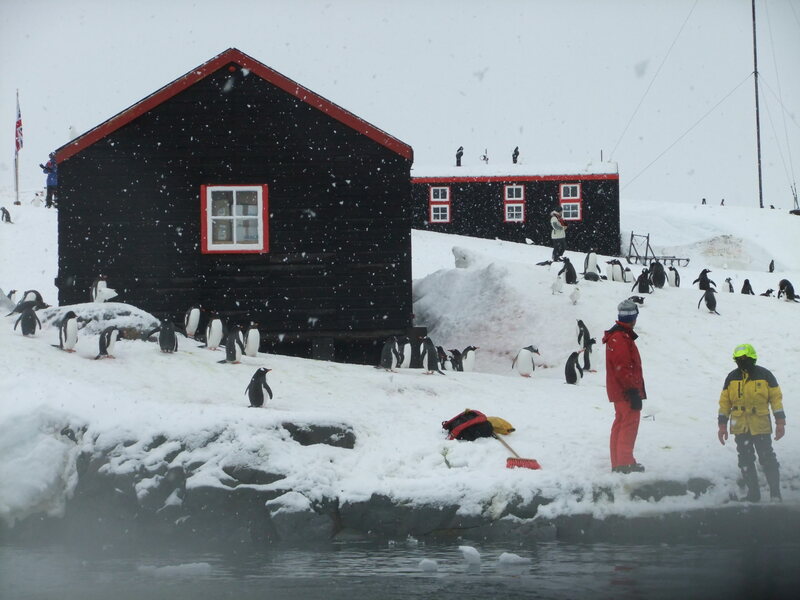 We got to see a load of penguins and seals and dived in the flat snow. Originally in fact I think we were meant to visit Penguin Island that day but they changed the schedule at late notice. It’s shaped like a half moon and I famously found a blue stick lying in the snow and tied my Northern Ireland flag round it. 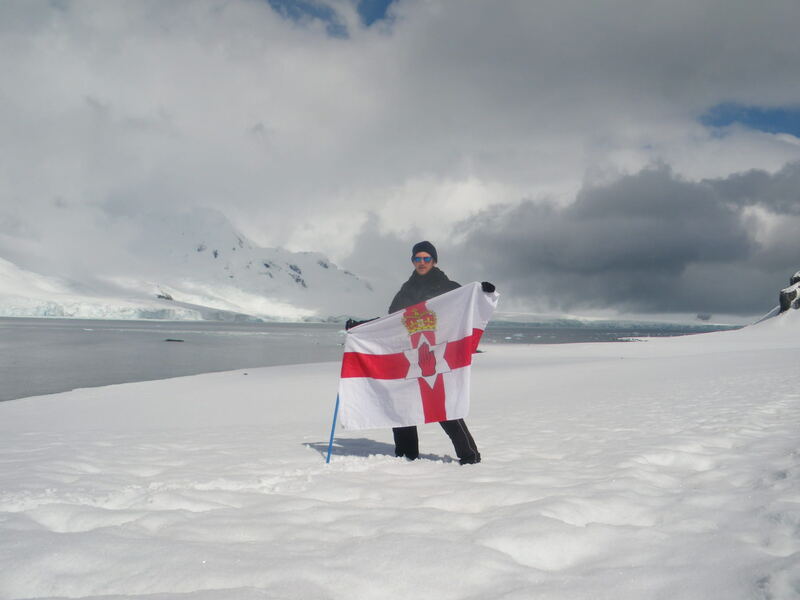 Flying my Northern Ireland flag in the sunshine at Half Moon Island, Antarctica. There is also an unusual Macaroni penguin to be found here – in amongst a load of chinstraps and gentoos! 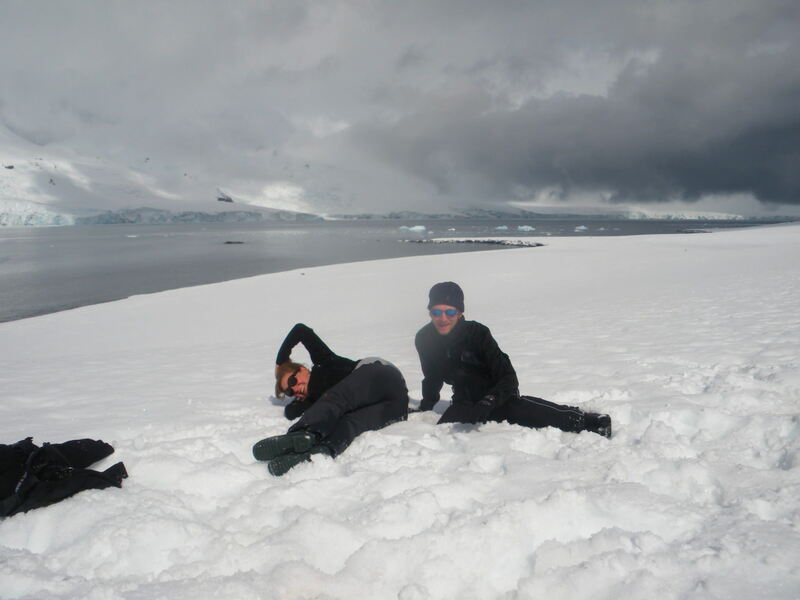 Having fun in the snow at Half Moon Island with Italian backpacker Katarina. Last on this list but definitely not least. Little unknown Barrientos was a defining moment for me. It was a reality check. I had made it to Antarctica. Working hard to live out my travel dreams and there it was. A song which goes “it just don’t matter anymore” comes on the boat’s speaker system as we dock in the group known as Aitcho Islands. It’s time to head to Barrientos. That defining moment – arrival on Barrientos Island, Antarctica – the first photo of me in the cold continent. As I stepped foot on Antarctic snow for the first time here at Barrientos, I was truly inspired. It was a life changing moment and one which I will never forget. We also visited the Antarctic Mainland on our tour and cruised through a load of Antarctic waters and channels. 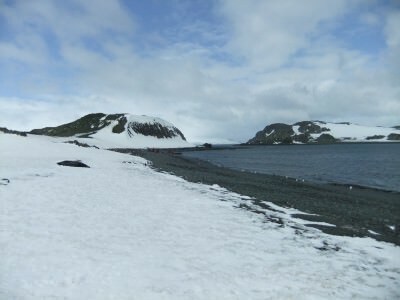 I didn’t mention some of the other islands we visited on this post, but have covered them elsewhere, including Elephant Island, the Day we got caught in a Snowstorm and King George Island. I urge you all to get out there and see places like Antarctica – much better than a beach break to Ibiza or a booze cruise in Thailand. 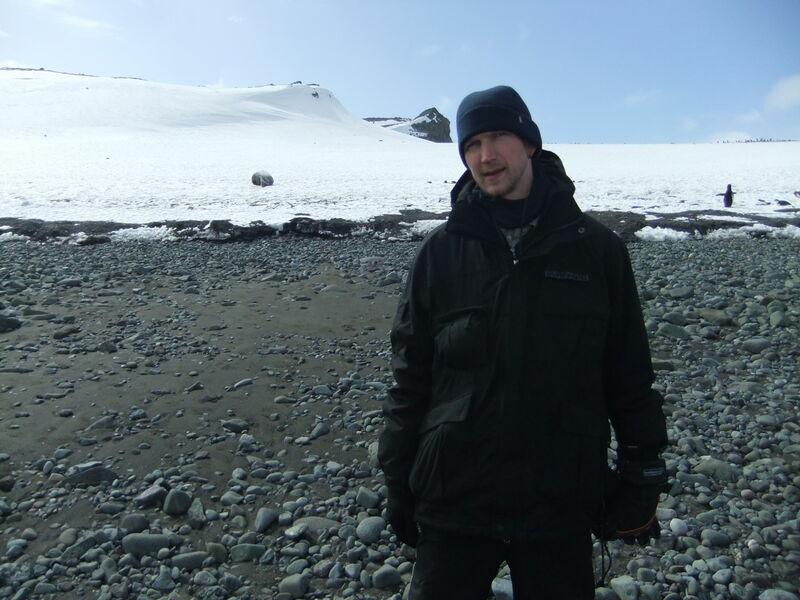 If you check my Antarctica tab you’ll see more of my Antarctica stories. 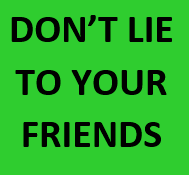 This entry was posted in Antarctica, Barrientos, Cuverville, Deception Island, Destinations, Goudier Island, Half Moon Island, King George Island, Lists, My Top 5s, Port Lockroy, South Shetland Islands. Bookmark the permalink.